Indonesia! What a wonderful country to visit! There are so many places to explore, so much beauty to unravel and so many amazing cities to discover. I know that we can spend months exploring the country and still not see it all. But, we always have time and with a drive to wanderlust, there is no stopping us! You all know that recently we explored Ubud and the South of Bali, together with some adventure in Lombok. There is a place in Indonesia, away from the more touristy areas, that have caught our eye and we have put it on our list of places to see. It is Java! 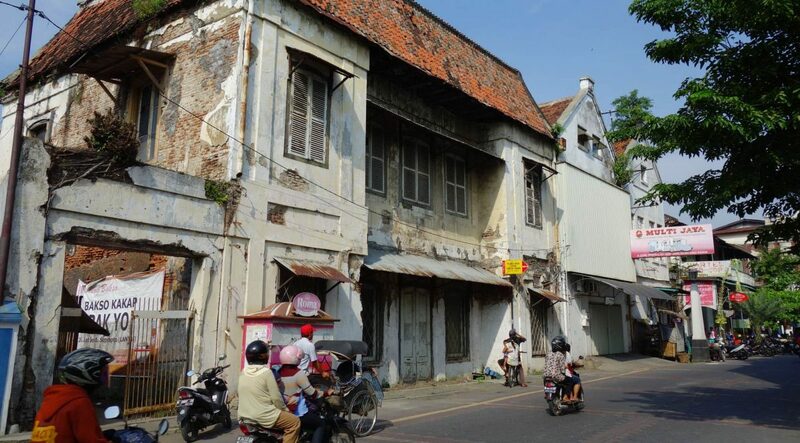 And as we start planning out an itinerary we thought we would start with a visit to Semarang! Today we will explore the top 5 things to do in Semarang, Indonesia. The Central Java Grand Mosque is one of the most important if not the most modern and beautiful of the mosques in central Java. With a lovely spacious plaza in the middle of the mosque and massive big umbrellas which are used for prayer. There is also a tower, if you take the lift to the top, you will get 360 degree views over the city. The mosque is great to visit in the day but also looks just as spectacular at night! Note: Don’t go to the mosque on Fridays as Fridays are praying days for the Muslims. Where: The Central Java Grand Mosque is located in the Elephant Kingdom; in the Village Sambirejo, Gayamsari District, the city of Semarang. 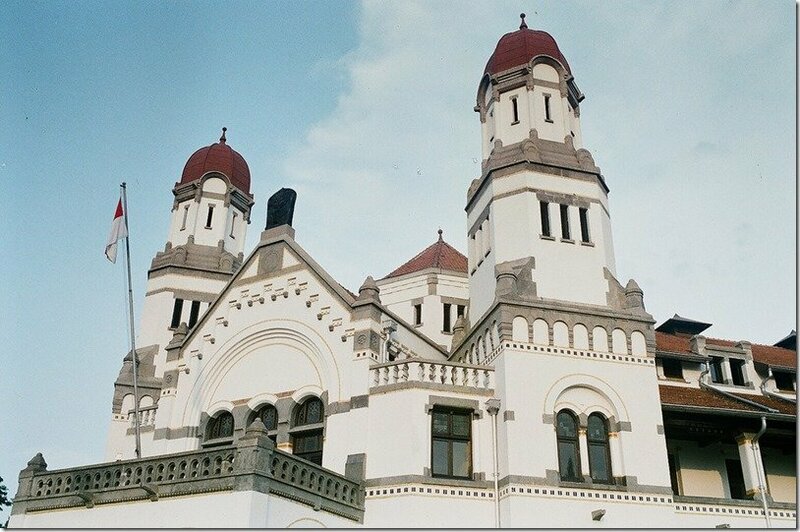 The Lawang Sewu Building is a lovely old building with truly fascinating architecture! Not only that but add in the history of this landmark building which was built as the headquarters of the Dutch East Indies Railway Company, together with the fact that it happens to be one of Indonesia’s most famous buildings; and you have a building that deserves a visit! A building with a thousand doors and windows galore! And if you are up for a challenge make sure to visit the building at night time to experience the building as a haunted house; a house where unhappy ghosts roam … apparently! Tip: Make sure to visit the little museum to learn about the Dutch Railways. Anyone who follows our travels, know that we love to scout out true authentic markets whilst visiting various destinations! 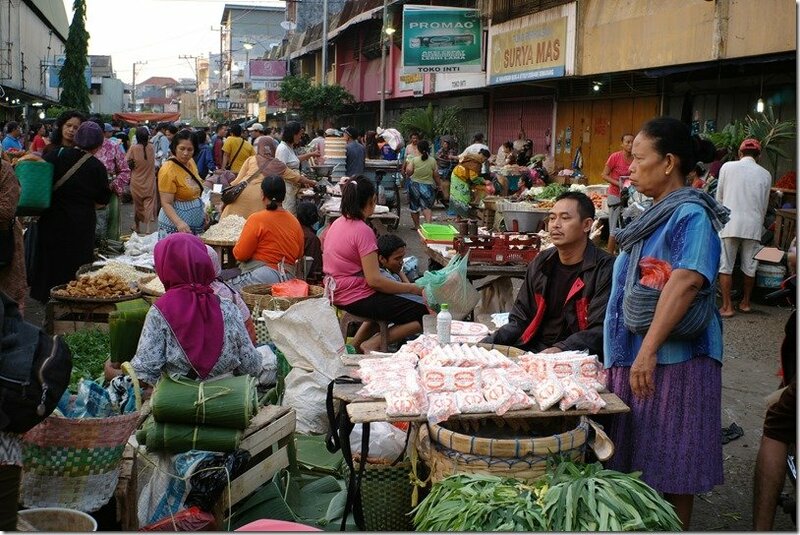 The Semarang Marketplace looks like a fascinating market to visit! Scout out some of the local markets found around the city. It truly is the best way to learn about their culture, to see what they eat and to find out what produce is important to them! If you are after some truly delicious food then make sure to head out to the Semawis Market where you will find plenty of little food stall vendors preparing some yummy Indonesian foods for you; sate ayam, mie goreng, nasi goreng and so much more! 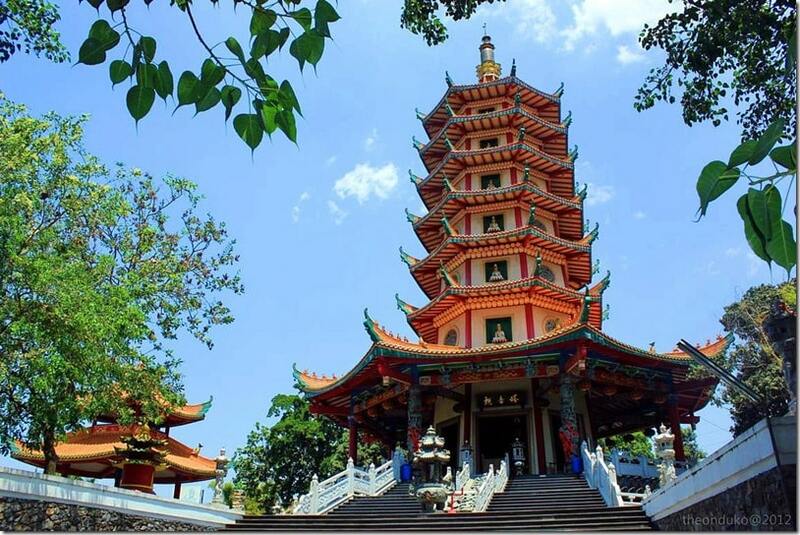 The Pagoda Avalokitesvara is an interesting place to visit. There are two building here, the prayer hall and the small Pagoda. Again the architecture of the pagoda is simply beautiful! The colours and detail is simply something to witness yourself! Admission here is absolutely free, and whilst your visit here won’t last long, the serene atmosphere is worth the escape from the busy city. Tip: It takes around 30 – 60 minutes to drive from the city center of Semarang to Banyumanik. 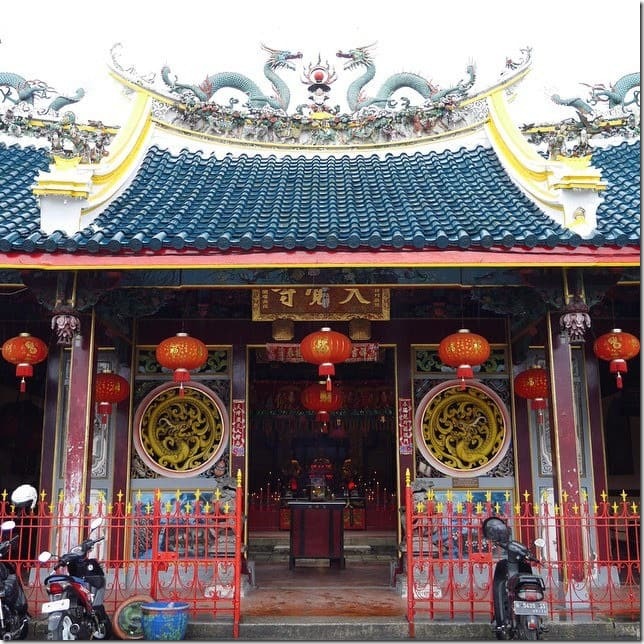 The Tay Kak Sie Temple is a beautiful small Chinese Temple. I love the detail of the Chinese architecture, you will always find something new if you keep staring! If you are keen you might like to try your fortune by shaking some piles of bamboos inside a bamboo pot. The certain number of dropped bamboo from the pot will indicate your life’s future forecast. You can either match the number and check it against the described paragraph paper or you could ask the temple keeper to interpret it for you. The temple has a lovely peaceful vibe to it and you will often see people engaging in worship here. Tip: Hop on over to Leonpia Gang Lombok which is located close by! Apparently you can buy the best leonpia in town there! Are you looking for relaxation with a bit of luxury? Well, you have found it! Located in Central Java, Star Hotel Semarang is the highest hotel in the area. Close to everything you need and filled to the brim with luxuries; this hotel will allow you to indulge in just the right amount of bliss. Regardless if you are after a Superior, Deluxe or a Suite, all the choices of rooms are perfect. Obviously, some have a few extra goodies on offer for you. Facilities include a Sky Swimming Pool with a Sky Pool Bar. There is a gym, spa, restaurant and also a beer house. Well, this place has it all! Occupancy: Suitable for couples and families. You can check out more details, prices and information from Traveloka here. Where have you been in Indonesia? Which of the items on the ‘Top 5 things to do in Semarang, Indonesia’ would you like to see?